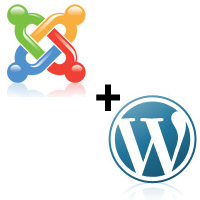 Recently I setup and tuned CorePHP WordPress for Joomla component for one of my clients site. One task I had to resolve was to show all posts of the selected author if visitor click on the author name. I used WordPress the_author_posts_link() function to get the URL to the author archive page. where ‘mobile-news’ is a SEF link to my wordperss component under Joomla installation, I have got the needed SEF URL for author archive. But I lost all the permalinks in other places of my blog then. for the ‘Home’ general option and make changes at the WordPress component core file. It is not so critical to change core file of CorePHP-Wordpress component as CorePHP make updates not so often as original WordPress developers do :). That’s all. After that I have working SEF author archive links for CorePHP WordPress for Joomla component. Tags: sef author archive link, WordPress, WordPress for Joomla! This entry was posted on Monday, September 7th, 2009 at 12:34	and is filed under WordPress. You can follow any responses to this entry through the RSS 2.0 feed. You can skip to the end and leave a response. Pinging is currently not allowed.